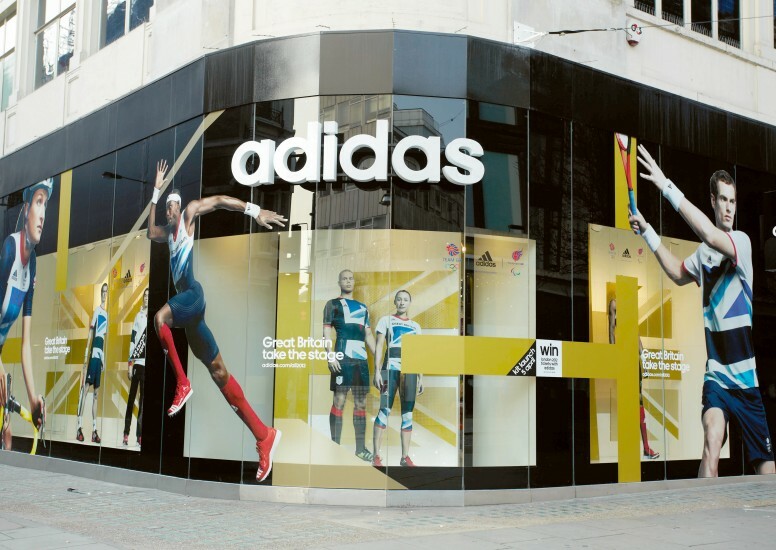 To support the launch of the adidas 2012 Team GB kit (designed by Stella McCartney) D4R collaborated with Creative Brand Agency ‘Name’ to design, develop and implement an inspiring retail design campaign into their Flagship store on Oxford st. 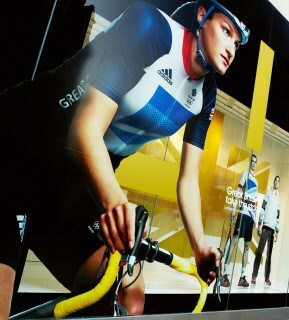 The entire glass fascia has been wrapped in stunning gold flag graphics that lead you around the store to larger than life images of Team GB’s key athletes. This exterior creative draws the eye to the beautifully layered window displays made up from a variety of hanging or standing layered elements. In store you will find a gold archway that leads to a 10mtr high ribbon hanging in the stair well, that winds it's way from the basement to the top floor. The ribbon is an awesome formed aluminium gold structure with cut out athletes who appear float in between floors. Adjacent to the main entrance there is another 3D interpretation of the Gold flag exploding around cut out athlete imagery enticing the shoppers in to take a look. This campaign has also been implemented across the adidas stores in Birmingham, Liverpool, White City and Stratford and we are delighted with how they look and proud to have played a part in such an amazing campaign! !